Principal Owner and Managing Director of Lacey Newday Consulting, LLC Sidney Lacey (BBA ’81) invests his time in mentoring Bauer MBA students, as well as creating partnerships with the UH Alumni Association and East End Chamber of Commerce. Photo courtesy of Tim Walker. 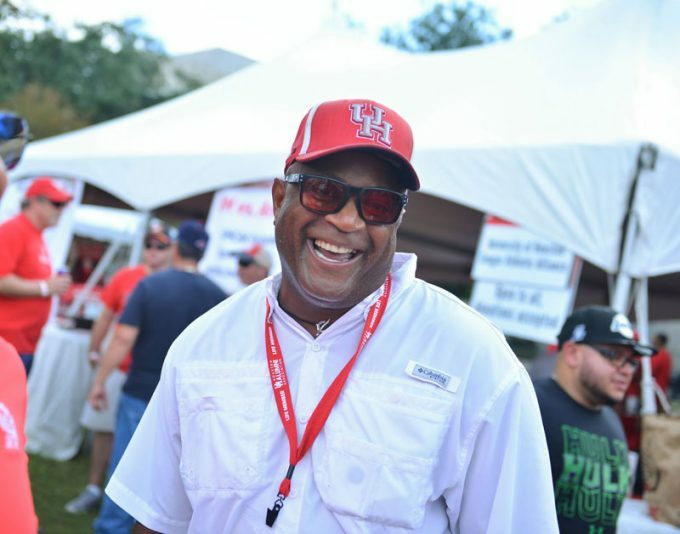 Talk to Sidney Lacey (BBA ’81) for five minutes, and one thing is perfectly clear — he’s a proud Cougar. Lacey, principal owner and managing director of Lacey Newday Consulting, LLC, and a board member of the East End Chamber of Commerce, is applying his passion for his alma mater in a new partnership with the University of Houston Alumni Association that connects middle and high school students in the community with alumni through events. In addition to this partnership, Lacey also invests his time mentoring Bauer MBA students as well as attending UH basketball, football and baseball games, and networking events. “Having the ability to easily give back by mentoring and volunteering, making new friends and alliances is the least I can do for a university and college that gave me so much,” he said.